Back in November 2012, when Link’s Blacklist Round II was announced, we needed to add a few rules to make sure that many new Monsters and Bosses from the Zelda games would be covered in our big art project. To archive that, all artist had to choose characters which were not yet illustrated for the Blacklist, and so we got over 110 different enemies of the Hero of Time together now when Round II ended in May 2013. The Slime Eel from Link’s Awakening on the Game Boy was one of the requested Bosses we were really happy about since Zelda I-IV were barely touched by the artists yet. This is indeed the detailed first Slime Eel illustration ever and it makes the folks behind Game Art HQ very proud to motivate artists worldwide to participate in Art Collaborations like Link’s Blacklist and draw these really unpopular characters from the 8 and 16 bit era of video games. 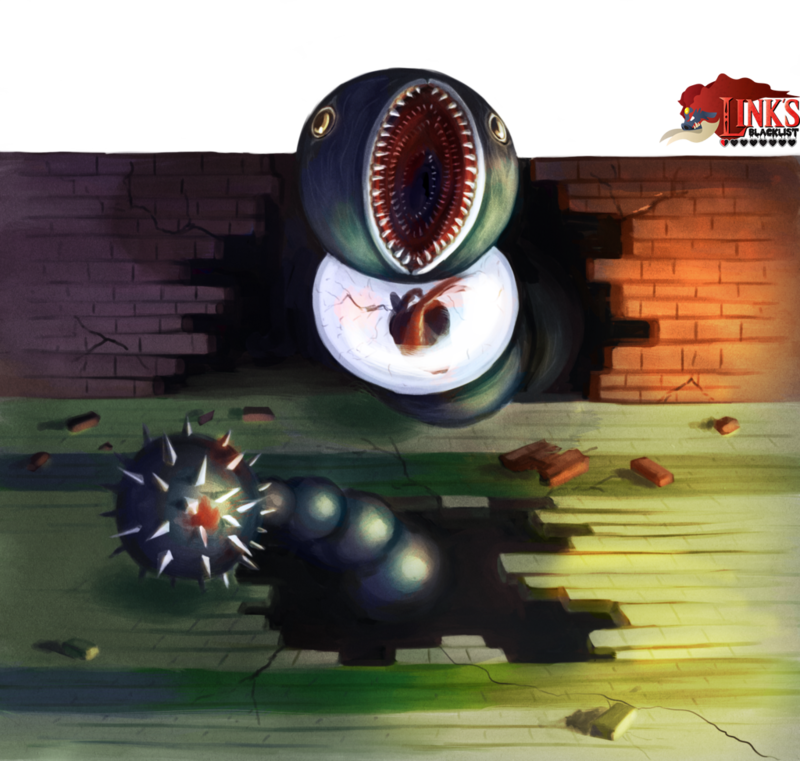 This first illustration of the Slime Eel was drawn by the Belgian artist Gakoru, he participated in the first round of Link’s Blacklist too, and submitted also the first Miniblin illustration! “I really liked that his design had his heart in a transparent body part, I thought that’d look cool so I picked this enemy. 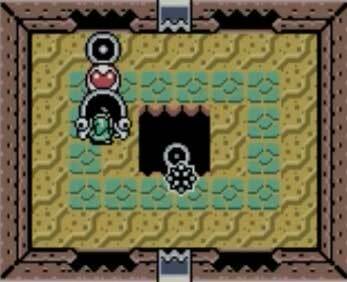 At the most time of the battle, Link has to avoid the long slowly spinning tail of the Slime Eel, but also needs to avoid and hit the head of it when it looks from one of the four holes in the walls of the arena.